In my previous blog, which focused on the seven Da Vinci principles, I started to think a bit more about Da Vinci’s use of mathematical proportions in Art and especially Bonsai. ratio. Da Vinci created the illustrations for the book, The Divine Proportion, by Luca Pacioli. It was written in about 1497 and first published in 1509. Pacioli was a contemporary of Da Vinci’s. In the book, Pacioli writes of mathematical and artistic proportion, especially the mathematics of the golden ratio and its application in art and architecture. The golden ratio and the Fibonacci numbers or series, comes from the work of Leonardo Bonacci, also known as Fibonacci, an Italian mathematician. 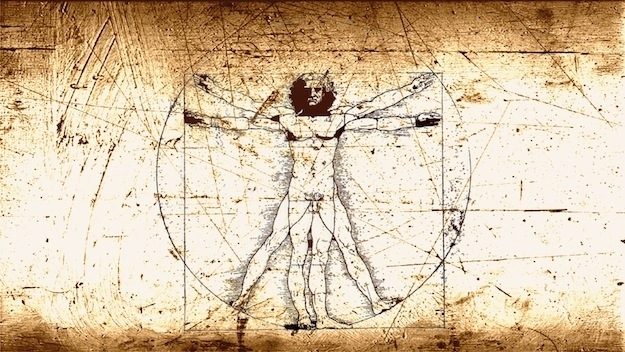 Many writings exist about Fibonacci, Da Vinci and the applications of the mathematical ratios and numbers in art, nature and a few other areas as well. 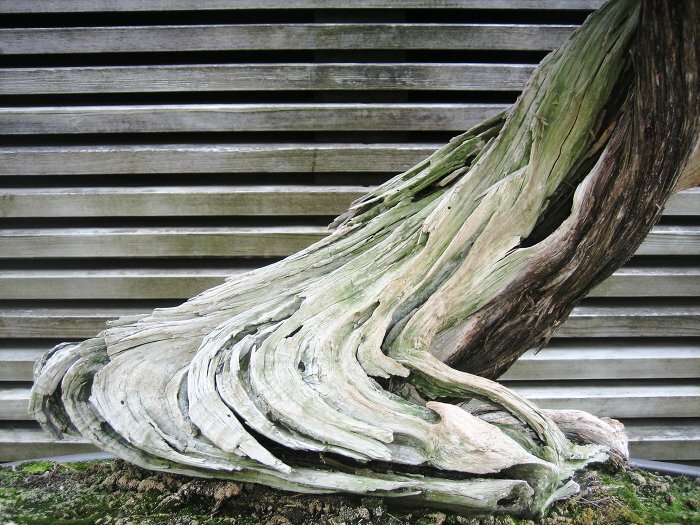 I will focus a bit more on Bonsai design and am hoping to bring some of this “divine proportions” to Bonsai design. First a bit more about the Mathematics involved. As said, much has been written about the Fibonacci numbers and its appearance in various patterns of spirals in especially leaves and seeds. 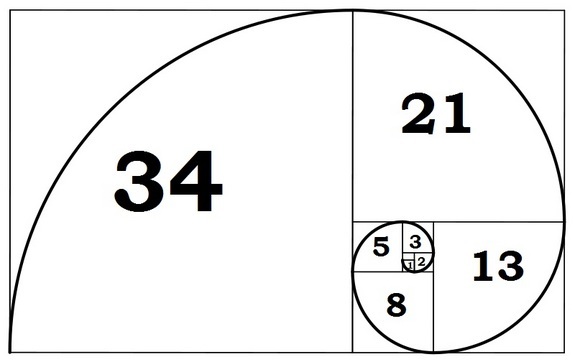 The Fibonacci series is a series of numbers formed by adding the previous two numbers together to get the next number. 0, 1, 1, 2, 3, 5, 8, 13, 21, 34, 55, 89, 144, 233, etc. out two growing shoots during one growth period. This could be more (pines or where whorls are formed), but the theory is that we keep two stems. If you keep on cutting these shoots as per the illustration, you will increase the number of smaller shoots over time. This is called increasing the ramification of your Bonsai tree. The theory is that if it is done according to the numbers as found in the Fibonacci series, that you will have a visually more pleasing appearance. Further to this, the ratio of two successive numbers in the Fibonacci series can be calculated by dividing each number by the number before it. The ratio seems to be settling down to a particular value, which is called the golden ratio or the golden number. The value of this ratio is approximately 1.618034. This is often represented by the Greek letter Phi. The arrangement of stems around the trunk could also be of interest here. When the golden ratio is used in a mathematical equation in relation to circles, it is found that stems / branches could be in a visually ideal position if they are 137.5 degrees or 222.5 degrees (make up 360 degrees in a circle) apart from each other. For completeness sake, I will also try to explain the Fibonacci rectangles and spirals here. If we start with two small squares of size 1 next to each other and we then place on top of these two squares a square of size 2 (1 + 1) and then carry on like that as illustrated in the diagram, rectangles of various sizes can be drawn. These are the Fibonacci rectangles. A spiral can also be drawn in the squares, a quarter of a circle in each square. These spirals are seen in the shape of shells and also in the arrangement of seeds in flowering plants. The spiral in the squares makes a line from the centre of the spiral increase by a factor of the golden number in each square. Points in the spiral are 1.618 times as far from the centre after a quarter turn. In a whole turn the points on a radius out from the centre are 1.6184 (6.854) times further out than when the curve last crossed the same radial line. Am I the only one seeing spirals in these examples of deadwood? Where does this all fit in? That depends on you and how far you want to take this. 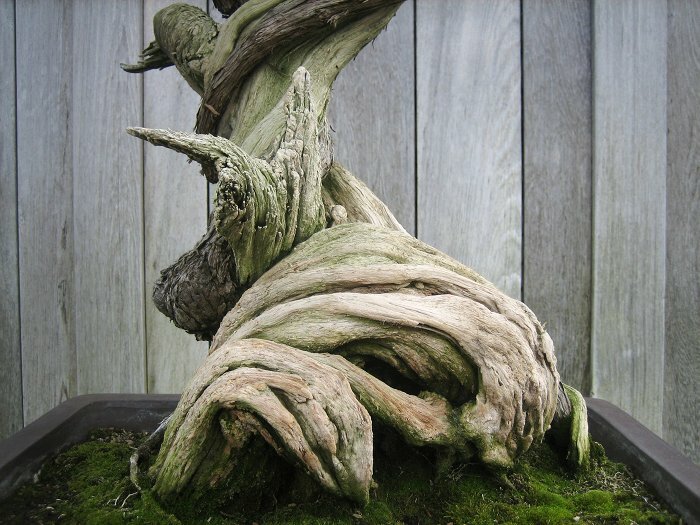 For me it is just interesting and something that can be kept in the back of the mind while styling Bonsai trees. I will be looking a bit closer at the shape of curves / spirals in future and I will also be looking at where I place especially the first two branches. Maybe that 137.5 degrees angle is not so silly after all?